The title/theme for my next piece hit me this afternoon on the way back from the quilt show: Phoenix Rising. Â It all started at the Voices in Cloth 2012 Â quilt show,Â when I stopped to chat with the fine folks at Golden Thread Silks, who specialize in handwoven fabrics from Laos, Cambodia, and Vietnam. Â They had approached me a few years back asking if they could use some of my photos in their website, and I thought it would be great to actually meet them (and check out their wares!). 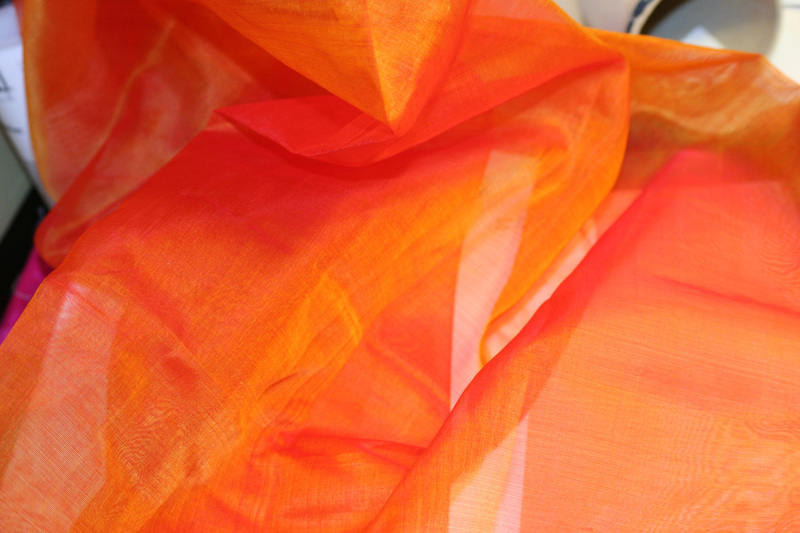 The orange organza is just as iridescent, but harder to photograph! Anyway, I purchased it “on spec”, with no particular intended purpose – which I had promised myself I wasn’t going to do, but it was just gorgeous. Â I am a real sucker for flame-colored fabrics, especially iridescent orange/gold ones, and I’d never seen my favorite color combination in organza! On the way home, I was thinking of what to do with it, and thought it might make marvelous ruffles on a fancy garment. Â But what would the garment be? 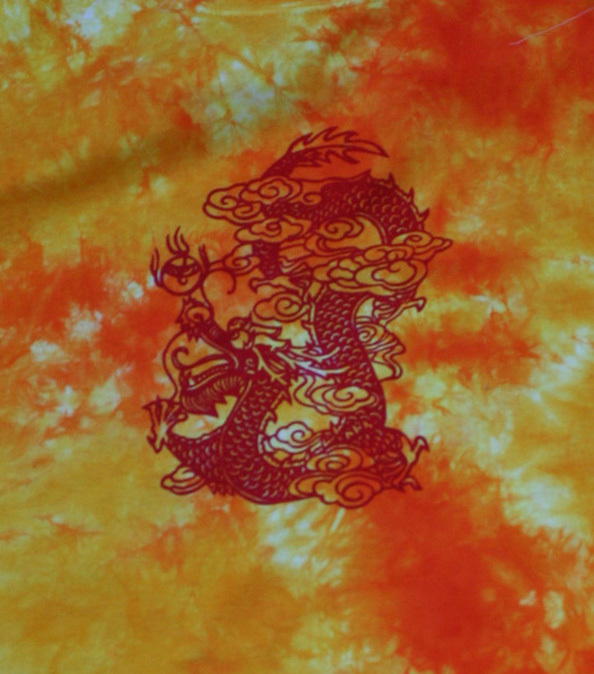 Â Of course it would have to be the many colors of flame, but what would the garment look like? and suddenly it hit me: a phoenix rising from the flames of its rebirth: Phoenix Rising. 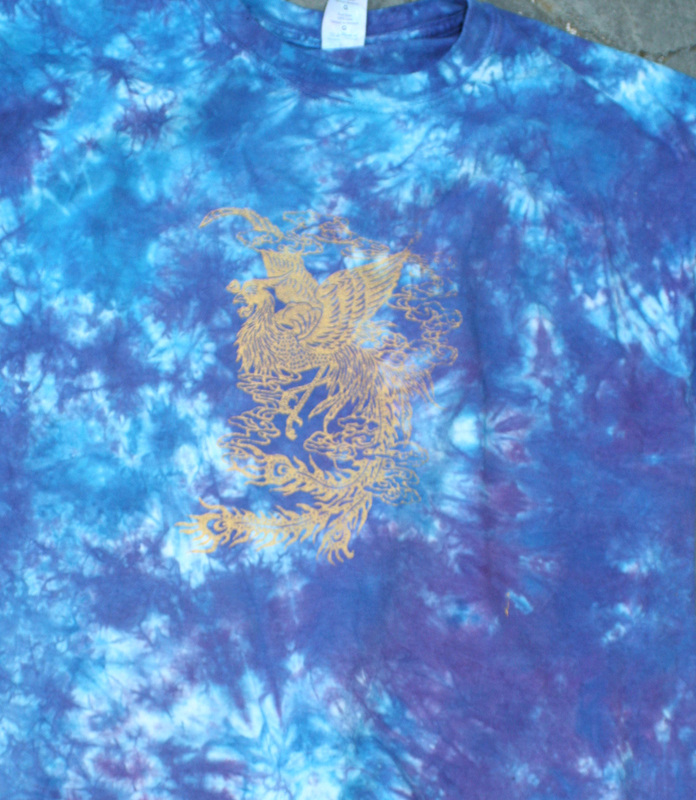 or, how about a kimono with a giant phoenix rising on the back panel? Yes, yes, yes! Â This will work. Â This is interesting enough, and rife with enough possibilities, to base my next piece on. Â Given the complexity of what I’m envisioning, this is a project that will take a year or more, so it’s a good thing I’m starting now. I’m still in the concept stages, though, so meanwhile, I will continue with the surface design experiments. 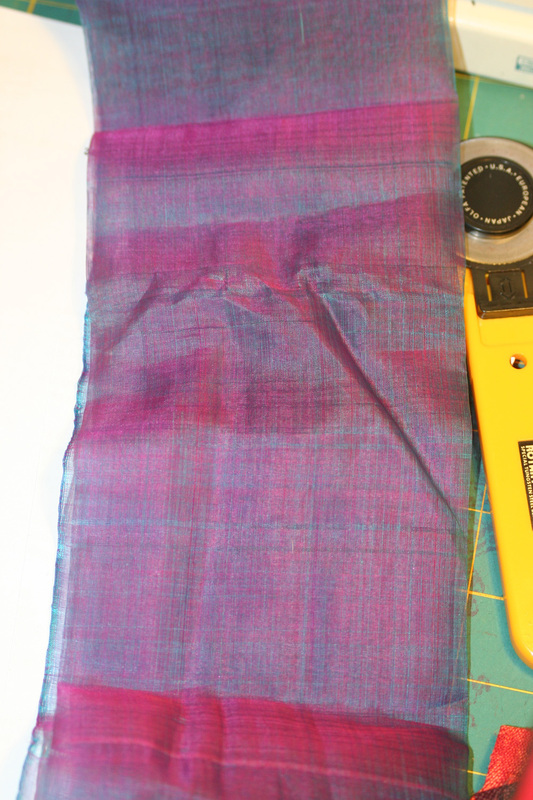 Â But I may try weaving some ideas with the warp currently on the loom. Ooo Ooo! Do the kimono! Such a beautiful idea!